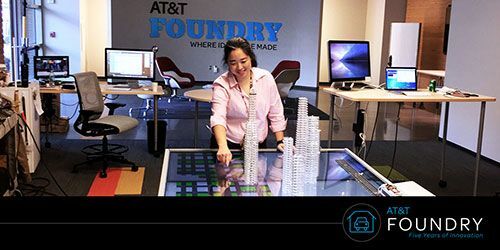 AT&T Foundry™ wants to connect with cutting-edge innovators and technologies that will deliver new valuable products and services to our customers. We are looking for technologies that enhance or refine an existing AT&T product or customer experience. 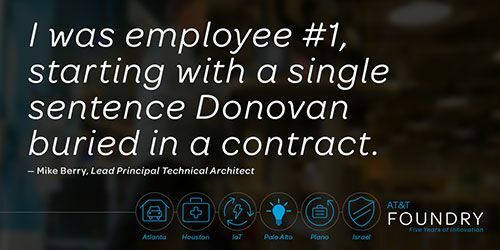 The AT&T Foundries are fast-paced and collaborative environments. With innovation centers in Plano, Palo Alto, Israel and Atlanta, AT&T delivers applications and services to customers more quickly than ever before. This year marks the fifth anniversary of the AT&T Foundry! Over the next few weeks we will showcase the awesome work coming from the various Innovation Centers. It all started here. Opening our doors in 2011, we wanted to develop an inviting, open space that establishes an environment for collaboration and innovation – a fast-paced model enabling us to create and create fast. Silicon Valley is the hub for the tech industry, so it was a natural to fit to open an AT&T Foundry out West in September 2011. With an emphasis on collaborating with innovators and entrepreneurs, cutting-edge technologies unfold almost daily. The fifth Foundry opened in Atlanta in 2014, fueling the South with a launching pad for new ideas. 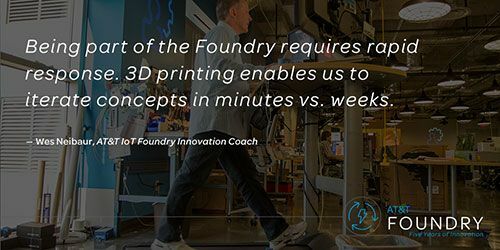 This Foundry focuses on the Connected Home & Car solutions - and even technology that's helping build smarter cities, but like each center in the Foundry system, innovative ideas are propelled and explored every day. Connected Health solutions will drive our newest Foundry located deep in the heart of Houston. Opening Spring 2016 on the Texas Medical Center’s campus, this Foundry will be a resource for TMC physicians and innovators, where we’ll collaborate to explore and advance technologies to better connect and support patients.